Microsoft is not very happy about Xbox One sales. With Sony selling more of its PlayStation 4 console, it looks like Redmond is preparing to release a new Xbox One console version to stoke up some excitement. The new console will be named Xbox One S and it will not only be slimmer, as some earlier rumors suggested, but it will also come with some new features. 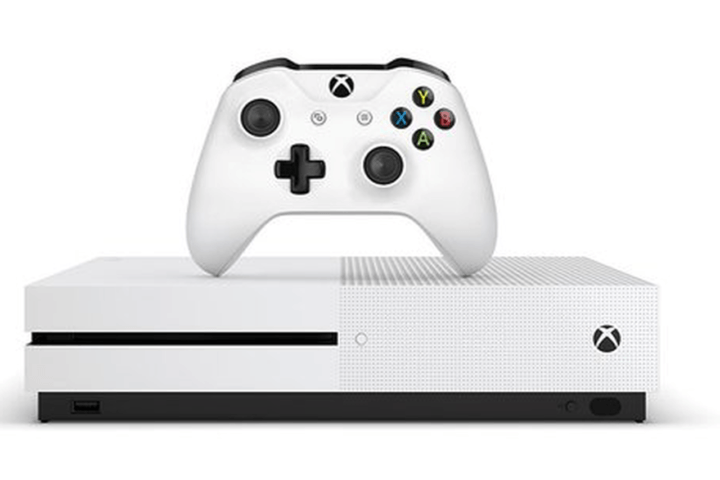 The new Xbox One S console is expected to be unveiled during the E3 expo kicking off tomorrow, Tuesday June 14, 2016, where Microsoft will give us more details about the upgrade console’s launch date, pricing and more. Microsoft describes its upcoming Xbox One S as a “sleeker, slimmer, sharper” makeover. The S in Xbox One S is deserved: it is 40% smaller than the current Xbox One console. Despite its size, it will be able to play video games at 4K Ultra HD resolution. In addition, the console will feature a streamlined controller and a vertical stand. It should have been released sooner seeing as Xbox One sales haven’t been doing all too hot recently. And according to many, the PlayStation 4’s graphical fidelity is more pronounced than on the Xbox One. However, in some games, the Xbox One can sustain a higher FPS higher than the PS4, but that doesn’t mean that games don’t run well on Sony’s console. Microsoft is expected to give us official information about its upcoming Xbox One consoles on June 16 during the E3 2016 event. Stay tuned.